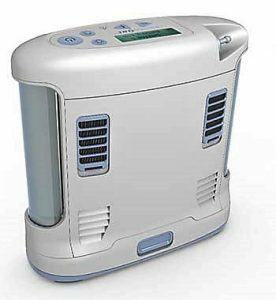 Portable oxygen concentrators or POCs represent medical grade breathing devices aimed at patients with sleep apnea or other breathing related conditions. Once, oxygen concentrators used to be heavy, difficult to use and they would allow minimum freedom of movement. Today, portable oxygen concentrators are small, compact and highly efficient devices equipped with heavy duty batteries meant to provide patients with the most efficient treatment available whether at home or travelling. There is a wide selection of POCs available on the market, but when choosing the perfect device, patients should make a well informed and educated decision. They should be able to select the perfect concentrator, suitable for their personal needs. Please find below a selection of the most popular, efficient and highly professional portable oxygen concentrators for 2018. Inogen One G3 is an incredibly powerful, compact and efficient Pulse Dose machine, equipped with an advanced technology motor and several helpful features. The device is a top reliable choice for patients who need to use the POC on a 24-hour basis. When you purchase the Inogen One G3 oxygen concentrator, you will receive AC and DC cords, and integrated batteries. Inogen One G4 is considered one of the smallest, lightest and most compact portable oxygen concentrators. The device delivers oxygen in an extremely quiet and efficient manner, and it comes with 3 different oxygen flow settings. Inogen One G3 was designed to provide maximum compliance and freedom of movement to patients who require oxygen therapy on an ongoing basis. The Intelligent Delivery technology helps detecting the breath quickly and then deliver the required oxygen dose within the first milliseconds. The device delivers oxygen right at the incipient phase of the breath, which means oxygen enters the system in the most efficient and useful manner. Using Inogen One G4 ensures a restful night of sleep for both the patient and the bed partner. The device has a noise level of only 40 decibels, which means patients will feel more comfortable not only during sleep by also during social outings. This particular oxygen concentrator is also extremely efficient for patients who follow a physical activity routine. In order to ensure your energy needs are satisfied, Inogen One G4 will deliver small and fast oxygen bursts during physical activity. 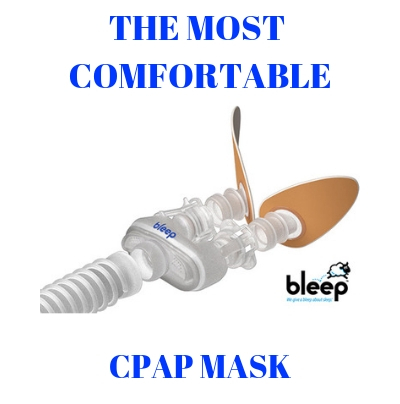 Whenever the device detects a shallower respiration rate, it will deliver a wider bolus of oxygen that will match your natural breathing pattern and needs. The Respironics SimplyGo Mini is actually the smallest and lightest portable oxygen concentrator made by Philips. Weighing less than 5 pounds, with an oxygen capacity of 1,000ml/ min and with 5 different Pulse Dose settings, this device represents the ideal solution for patients looking for reliable treatment in any setting. The machine is equipped with an intuitive and easy to read LCD touch screen, so that patients can quickly and efficiently set the desired settings. Philips Respironics SimplyGo Mini is lightweight and easy to carry around, and it represents the perfect treatment solution both at home or while traveling on a plane, camping, and so on. Thanks to its rugged and compact design, the SimplyGo Mini will prove to be the best choice for patients who perform physical activities. On a Pulse Setting of 2 at 20 BPM, the battery will last up to 4.5 hours while run time with extended battery is up to 9 hours on Setting 1. 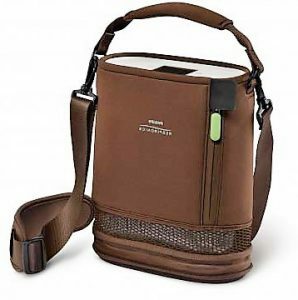 When you purchase the Philips Respironics SimplyGo Mini portable oxygen concentrator, this is what you will get in the box: the SimplyGo main unit, a stylish carrying case, DC/AC cords, Accessory bag, the user manual, 1 standard or extended rechargeable lithium ion battery, and a 3-year warranty from the manufacturer. 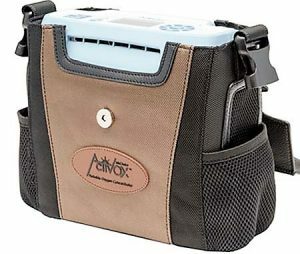 This is an FAA approved portable oxygen concentrator. Portability, reliability and maximum therapy compliance are what best characterize the Respironics SimplyGo portable oxygen concentrator by Philips. SimplyGo is also the only concentrator capable of providing both Continuous flow and Pulse Dose therapy packed in a single unit that weighs less than 10 pounds. Extremely rugged and compact, SimplyGo represents the ideal therapeutic solution for patients looking for maximum reliability and effectiveness during the day, during the night, during physical activity or while traveling. When you purchase the Philips Respironics SimplyGo device, this is what’s included in the box: the main SimplyGo unit, stylish carrying case, rechargeable Lithium Ion battery, a mobile cart with oversized wheels, DC/AC power cords, a case for accessories and a detailed user manual. Philips Respironics SimplyGo has Sleep Mode, which is quite similar to the regular Pulse Dose. In Sleep Mode, the device will detect the incipient phase of a breath and then it will deliver a pulsed dose of oxygen which is determined by the number of the setting. In Sleep Mode the device comes with an increased sensitivity module and a much gentler pulse in order to ensure maximum comfort of breathing during sleep. This intelligent module is capable of detecting immediately when there is no breath sensed and then it will revert to continuous flow mode to ensure required oxygen is delivered to the patient. Lifechoice Activox 4 L by ResMed is a mobile oxygen therapy device providing maximum efficiency and comfort for patients with breathing related health issues. The device is equipped with an ultra-long lasting battery, and there are several advanced technologies incorporated which summed up offer a truly reliable and compliant therapy. There are no tanks that need to be filled, and no heavy oversized carts that need to be carried around. With ResMed Activox 4L, patients can enjoy required oxygen therapy at home or while on the go. Weighing only 4.8 pounds (~2.3 kg), LifeChoice Activox by ResMed truly allows for freedom of movement. Patients requiring stable oxygen therapy can now stay active all day long, without worrying about heavy equipment that they need to carry around. When you purchase the device, you will receive a stylish bag that can be converted into a shoulder bag or back-pack, whichever is more comfortable to you. On a single charge, the LifeChoice Activox battery can last up to 10.5 hours on Setting 1. Patients can now spend their time outside without worrying about charging/ changing batteries or tanks. Patients can also easily charge their device while on the go, while actually using the device for therapy. Battery times: 10+ hours on setting 1; 8.25 hours on setting 2; 5 hours on setting 3, and 4 hours on setting 4. External charge time is 2 hours. 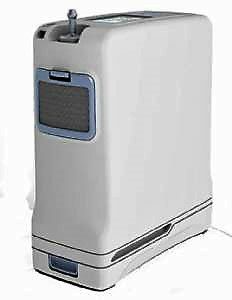 Eclipse 5 portable oxygen concentrator brought to you by SeQual is an innovative, highly reliable and efficient device. The device is capable of delivering both Pulse Dose and Continuous Flow therapy. Patients that require highly specific oxygen dosage will find the device very useful, as it can deliver continuous flow in 0.5 increments. There are also 6 different Pulse Dose settings available, from 16 to 192ml. SeQual Eclipse 5 weighs only 18.4lbs with battery included, and it has the following dimensions: 12.3 in wide and 7.1 in deep. 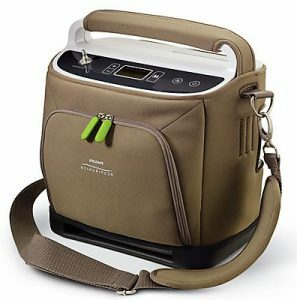 Even though this is not a lightweight portable oxygen concentrator, patients can carry it around effortlessly thanks to the efficient cart that is included in the purchase. The cart is equipped with a telescopic handle so that you can adjust it exactly the way you want, and you can easily fold up the cart for better transportation. If you have any experience with these machines and want to share you opinion please do it in the comment section below. To find out what are the oxygen concetrator prices click on the links above the pictures. Please send the prize of all your portable concentrator. You may also call us toll free at (866) 923-2727 as we will gladly assist you. The Inogen One G3 with Standard battery sells for $2,295.00. Call us at (866) 923-2727 to discuss your options. How much is philips respironics simplygo mini? The Respironics SimplyGo Mini is on sale the month of March for $2,035.99. I know it sounds like a lot but it is a great machine and has been discounted over $400.00 until March 30, 2019. Batteries are expensive. 20% of th3e cost of machine. There is not a portable oxygen concentrator made that will go above 3 LPM in continuous flow mode. How much is the Resmed Activox 4L? Sounds like just what my husband could easily use. Is there any POC that does 5 or 6 continuous? At this time there is not a portable oxygen concentrtor on the market that will do over 3 LPM continuous. You are able to get up to 6 setting in pulse mode on the Philips Respironics SimplyGo and the SeQual Eclipse 5 as well as a few other lessor know portable concentrators.